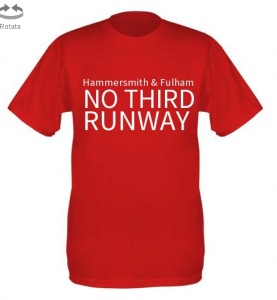 On Saturday 1st October members took part in a number of events wearing the new t shirt which was a great success. 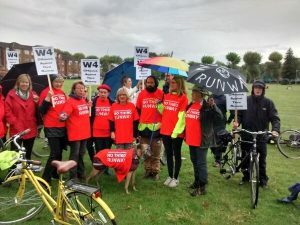 After speeches (including one by Ruth Cadbury, MP for Brentford and Isleworth, far left in photo below), we saw off participants in the Reality Bike Ride to Heathrow. 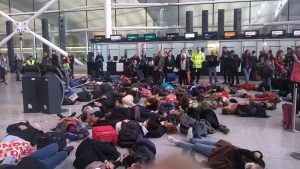 Some of us also took part in the “die-in” at Heathrow to demonstrate the harmful effects of aviation.